The ever-widening Star Wars cinematic universe has another formidable villainess to add to its stable. 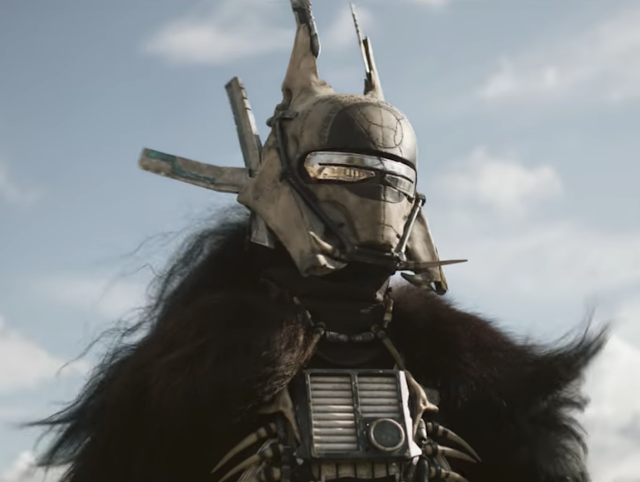 Fresh off the success of The Last Jedi and Gwendoline Christie's masked turn as Captain Phasma, the Hans Solo spin-off will have a lethal nemesis in the form of Enfys Nest. No word yet as to who will play (or voice) Nest, so devotees will have to wait until Solo rolls out in theaters in May.